Not just a teacher. A coach to guide. Louise Pennison (Weezie) has a true passion for teaching. If your child is craving an opportunity to perform, TADA! Young Actors & Artists Studio is the place to be! At TADA! we strive to create a Performing Arts environment that brings out the best performer in each of our students. We believe each student deserves the opportunity to master the invaluable life skills that acting training builds…whether they use those skills to become a successful professional actor or a poised and well spoken individual. We use age appropriate improvisation exercises that prepare the students to explore, learn and perform at their best. 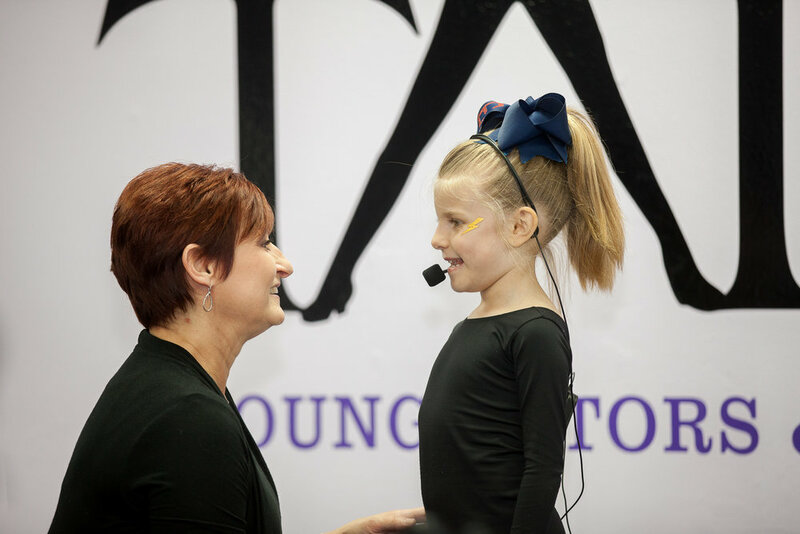 Our instruction allows our performers to express themselves naturally and connect with the audience to sharpen and explore their creative talents. We offer on-camera filming and acting involving scripts from movies, character monologues, dialogues from television shows, commercial and voice training from all genres; country, gospel, pop, general variety! Our on-camera classes help to celebrate your child’s progress. Students learn to love public speaking and thrive on being in the spotlight. They also learn how to memorize quickly and how to think on their feet! Most importantly, students gain confidence and leadership skills to help them achieve their goals in life. Perfect for ages 8-16. TADA! Summer Camp Program Begins June and each two week session is $280 plus a one time registration and supply fee ($90 Registration Fee for 1 Session, $125 Registration Fee for 2 Sessions, $150 Registration Fee for 3 Sessions) . There are three sessions offered: Session 1 runs June 6 – June 17th, Session 2 runs June 20 – July 1, Session 3 runs July 18 – July 29. Hours are 9am -4pm with additional before and aftercare available (8am dropoff, 6pm pickup). Enrollment per session is limited to 30 students so do not wait to register HERE! Whether you're interested in joining our lively group or you just want to stay in touch, sign up!